The article described how the lead singer of the Australian group Frenzal Rhomb had suffered two seizures before doctors discovered tapeworm from a pig in his brain. As a kinesiologist and medical intuitive, I look for parasites all the time in my clients. What is healing? Real healing requires you to get to the bottom of what is actually ailing you. Once I find parasites in a medical intuitive reading or by using kinesiology, I then figure out where in the body these parasites happen to be. Sometimes you may have parasites in your large or small intestine. If this is the case, you may be able to run a lab test that you can then take to your medical doctor to back up what I have found. This can be quite helpful as a lab test may be able to isolate which particular medication will kill the parasites you actually have. Unfortunately, however, many clients have parasites not only in their digestive system but also in other organs. It is very common for me to locate parasites in the liver, spleen and kidneys. Only once have I found parasites in a client’s brain. That lady was suffering from constant anger and anxiety. I felt great compassion for her, as she had gone from doctor to doctor seeking relief, but had not found any solutions. She had a brittle personality and snapped constantly. She felt unable to relax. The June 2012 issue of Discover magazine also had an article describing a human brain overrun with cysts from Taenia solium, a tapeworm that normally inhabits the muscles of pigs. I find that I am able to have success with so many clients who have gone from one practitioner after the other with no relief precisely because my protocol always includes looking for parasites. You could be doing everything perfectly – eating organic, meditating, managing your stress, exercising daily, etc. etc. etc. – but if you have parasites you may not be able to find relief for your exhaustion, depression, eating disorder, blood sugar problem, pain, anxiety or other ailment. One of the things I most appreciated about the Discover article was that it included an actual photograph of a human brain infected with tapeworms. If you are curious, ask me to do a reading to determine whether or not you have parasites. The next step will be to figure out what will actually work to help you get rid of them. Treatment, if you are lucky, may include asking your medical doctor for medication. However, because there are so many different kinds of parasites, different approaches are required to treat each one. Natural treatments may include herbs or using a zapper. 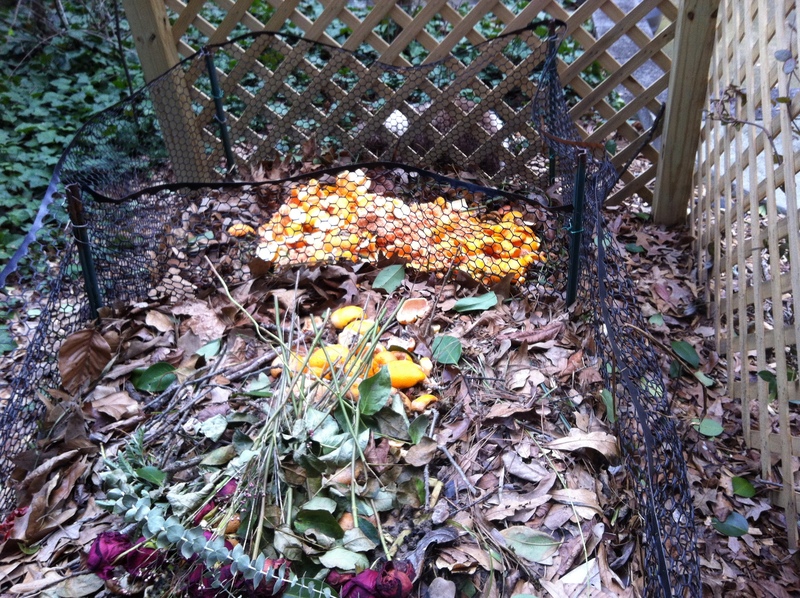 Photo: My compost pile. My compost is healthier than most people’s diets. I throw out old vegetable and fruit bits, then mix in leaves. Eventually it makes its way into my garden.